Suffering from depression is nothing to be ashamed of. Neither is getting help. If you had diabetes, would you be embarrassed to go to a doctor and take insulin? Depression affects millions of Americans, including some of the most famous and successful among us. Please join us for a panel discussion on depression awareness and suicide prevention Monday, Oct. 5 at 7 p.m. at GCC's Fredericksburg Campus, Sealy Auditorium. We are thankful that members of our community are willing to share their experiences and their journeys as we participate in this thoughtful discussion. Panelists will include Todd Brown, the father of Carol Anne Brown, a Germanna student who suffered from bipolar disorder and took her own life; Nick Cadwallender, associate publisher of The Free Lance-Star, who has battled depression his whole life; Mary Gilkey, Germanna’s Dean of Nursing, who is a licensed clinical nurse specialist psychotherapist and whose sister committed suicide; and H. Reese Butler II, who founded a national teen suicide hotline after his wife killed herself. The moderator will be Ed Jones, editor of The Free Lance-Star. National Depression Screening Day is October 8th. Sign up to get your seasonal flu shot now! Cost: No cost for those with COV Health Insurance. 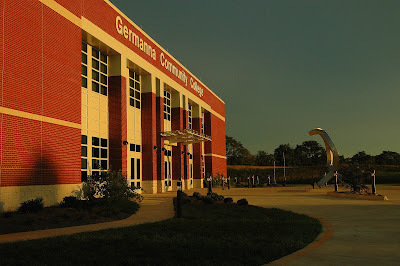 Germanna President David A. Sam has received more details from the Chancellor of the Virginia Community College System regarding the state budget cut and retirement for Germanna Community College employees. He explains in his blog. There will be two Open Forums about the budget cut impact on Tuesday, Sept. 15 to allow all employees an opportunity to attend and ask questions. Both forums will involve interactive video in Room 225 at the Fredericksburg Campus and Room 100 at the Locust Grove Campus. The first forum will be held from 11 a.m. to noon and the second forum will be held from noon to 1 p.m.
State savings will include more than $104 million in reduced payments to the Virginia Retirement System for the final quarter of FY 2010. Contribution rates for the Commonwealth and its employees will be changed in July at the beginning of the next biennium to adequately fund the long-term needs of the retirement system. "We believe that employees will not see a difference in the current year but that as early as the last quarter of this fiscal year and most likely beginning in July employees will be asked to pay for a portion of our state retirement," said GCC President David A. Sam. 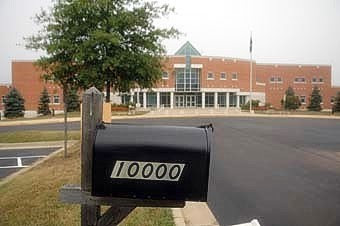 Also, a one-day furlough of all state employees on the Friday proceeding Memorial Day 2010 does apply to Germanna. Agencies with critical or emergency personnel are instructed to accommodate staffing needs and make adjustments to the furlough date accordingly. "I will decide how we will implement after further discussions with vice presidents and other administrators and let you know," President Sam told faculty and staff. To allow all employees an opportunity to attend, a second Open Forum has been added for Tuesday, Sept. 15. Both forums will involve interactive video in Room 225 at the Fredericksburg Campus and Room 100 at the Locust Grove Campus. The first forum will be held from 11 a.m. to noon and the second forum will be held from noon to 1 p.m.
"I regret the hardships these decisions will bring to all of you," President Sam told GCC faculty and staff. "Further clarification will be announced as soon as available."